ANSI Flange Full Face 150#, 300# Gasket Supplier in USA - SSP Manufacturing, Inc.
ANSI flange full face gaskets are the types of sanitation gaskets used in various process industries. SSP Manufacturing, Inc. provides the ANSI gaskets, which can be used with 150#, 300# rated flanged connections. These gaskets are made from lightweight corflute sheets, which are basically twin walled polypropylene. 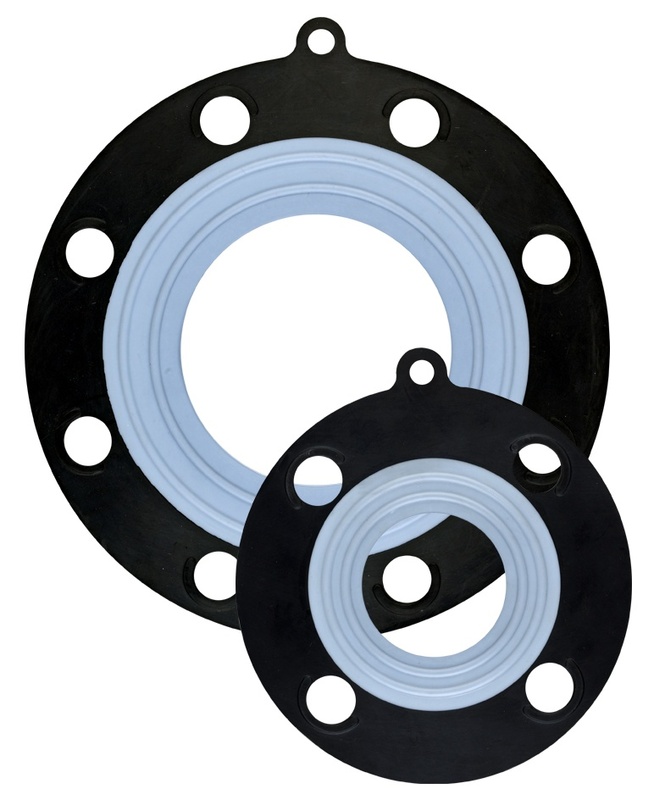 ANSI flange gaskets are provided in standard, as well as custom sizes upon request. The gaskets are used for different industrial applications, and they can withstand common industrial abuse, and harsh environments. Dimensional tolerances varies from 1" @ +/- 1/32", from 1" through 12" @ +/- 1/16", from 12" through 24" @+/- 3/32", and over 24" @ +/- 1/4". Gasket’s standard hardness options vary from 40 through 80 durometer, while the standard thickness is between 1/16" to 1/8"
This table gives detailed specification of ANSI flange full face 150#, 300# series. SSP Manufacturing, Inc. strives to meet every standard and requirements as per the industrial demands. Our products are carefully examined and tested to ensure better quality standards. Please contact us on our toll-free number 888-238-SEAL or mail us at rrom@sspseals.com.